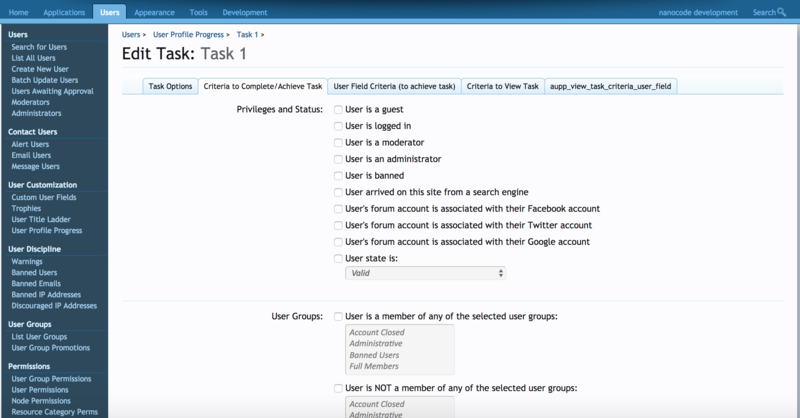 Set tasks for users to complete after registration, convert confused guests into engaged members! Users often get overwhelmed with your site and aren't sure where to start. User Profile Progress helps get them started. The administrator can define tasks for the user to complete which helps them gain points towards completion. 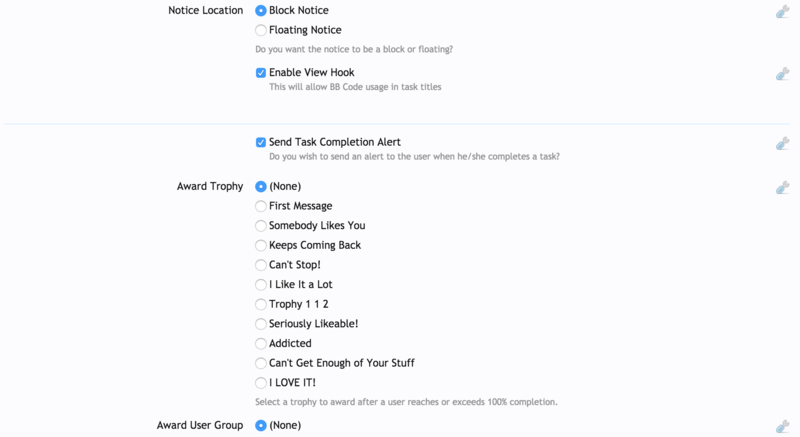 You can use a wide range of criteria to create tasks. Decide how you want to reward users with plenty of options to customise the experience you offer your users.